The keyboard is currently listed on both the App Store and the Play Store, however, it reportedly won’t receive any more updates. A Nuance Help Desk announcement stated the same earlier this month. 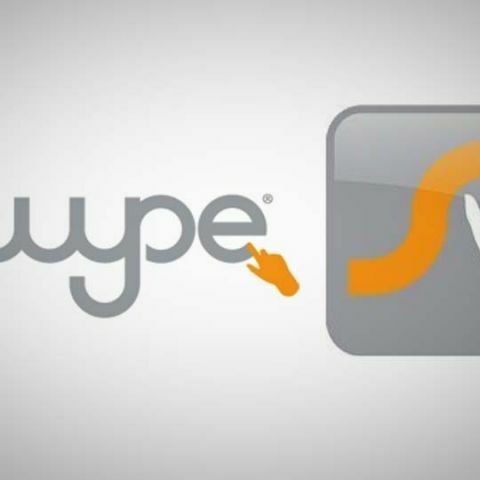 The Swype keyboard for Android and iOS is discontinued, claims a report by XDA Developers. The app’s parent company Nuance broke the news to a users in a reply to their query. So, one can expect that the app won’t receive any more updates on Android, however, folks over at XDA also found a post on Nuance's ZenDesk from early February. It stated that the app will be discontinued iOS and that will no longer be available on the App Store for download. It seems that the company is shifting its focus from Swype keyboard with Dragon Dictation to AI based solutions for businesses. The company's response to the Redditor read, "However, we are sad to announce that Swype+Dragon for Android has faced end of development. Here is a statement from Swype Product Team: Nuance will no longer be updating the Swype+Dragon keyboard for Android. We're sorry to leave the direct-to-consumer keyboard business, but this change is necessary to allow us to concentrate on developing our AI solutions for sale directly to businesses. We hope you enjoyed using Swype, we sure enjoyed working with the Swype community." There is only an official statement regarding the discontinuation for Android from the company, but the Swype app is still available for download on the Play Store, where it was last updated a couple of days ago. As per its description, the app supports heavy customisations, be it skins, languages or gestures and as its name suggests, the keyboard app can accurately predict which word a user is trying to swipe. For those who are currently using the app, they can try out other alternatives such as Gboard, Swift, Word Flow, and others. What is ment by \"jailbreak\" in IOS ?